People, who have to relocate beyond the local area, will have to search for firms offering interstate or country removals. These migrations often take place due to job transfer related matters. However, if one has to go, then it is better to start planning immediately. The key job will be to start packing. However, if one has to attend office alongside, then it can become a tiring exercise. The better way will be seeking professional help. However, distant relocations are a bit different from having to relocate locally. Moreover, in the new place, one will be new. Therefore, one must be careful in allocating relocation activity to someone. One must search for a reputed name. Experts have stressed the need to stay away from people who do not provide adequate information and charge unnecessary money upfront. The vehicle used for the transportation process can be a big giveaway. For long distant relocations, it is necessary to avoid a firm, which rents a van. Hence, one must make sure that the name and other details are printed on the body of the van. These are some tips, which help a person to identify a rouge removalist. Another important way to locate a reputed name will be to seek references. Someone who has gone through a long distance relocation program will be able to advice better on who amongst the several names offer personalized services. Now once someone has located the perfect removalist, it is essential to book early. One must realize that people providing quality services are always in demand. Therefore, as soon as a date is finalized, one must look to the book. The key area can be the number of cartoons or boxes, which one may require for the relocation job. Therefore, one must insist on asking the relocation agency to make a visit before getting down to the packing. They will certainly be able to guide on how many cartoons have to be arranged. The benefits of working with a reputed name are plenty. They may charge a bit more for the service. However, they are careful at every stage. Most of these reputed relocating firms take extra precaution at the packing stage so that there are no damages in transit. Another important service, which a reputed agency will provide is the unpacking part. Similar to packing, this can be another cause of worry. A reputed name often helps to unpack at the new location. While all this is fine, it can be tough for someone to locate a renowned country removalist. People, who may be a bit confused, can trust Armstrong Removals to offer personalized services. 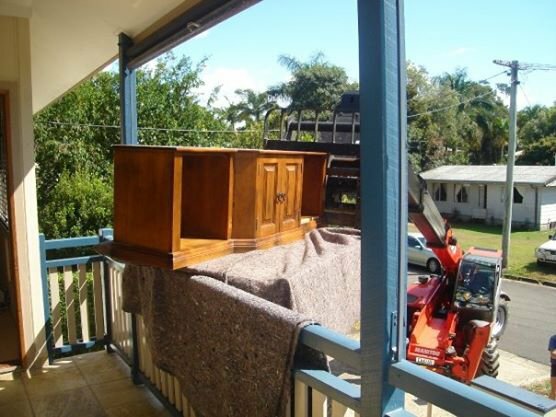 They offer goods relocation to all over Queensland, Sydney, Adelaide, Perth, Darwin and a whole lot of areas. One can enjoy the travel to the new destination as they take care of the goods.